B. 1958: Russian statesman and Minister of Taxation and Revenue (1999–2000); Minister of Labor and Workforce Development (2000–2004); Economist. Born January 12, 1958 in Chelyabinsk. Graduated from high school with gold medal honors; graduated from the Department of Economics at the Chelyabinsk Lenin Komsomol Memorial Polytechnic Institute (1980), with a degree in Engineering & Economics; completed graduate studies at the USSR Academy of the Sciences, Institute of Economics (1985); PhD in Economics (1986); Professor. 1980–1982: Research Intern; Associate Research Fellow at the USSR Academy of Sciences, Ural Institute of Economics. 1986–1990: Associate Research Fellow; Research Fellow; Senior Research Fellow at the USSR Academy of Sciences, Ural Institute of Economics. 1990–1993: The People’s Deputy of Russia; Member of the Supreme Soviet of Russia; Secretary; Deputy Chairman; Chairman of the Budgeting, Planning, Taxation and Pricing Committee for the Soviet of the Republic, Supreme Soviet of Russia. 1993–1994: The Russian Federation Deputy Minister of Finance; Chairman of the Supreme Soviet of Russia Transition Committee. 1994–1995: Deputy for the First Calling of the State Duma for the Chelyabinsk Region’s Magnitogorsk voting district; Member of the Russia’s Choice faction. 1996–1997: Deputy for the Second Calling of the State Duma; Member of the State Duma Committee for Budgeting, Taxation, Banking, and Finance; Member of the Russian Regions deputy group. Simultaneously served as Deputy Chairman for the Budgetary Control Commission of the Interparlament State Assembly of CIS Members. 1997–1998: Head of the State Tax Service of Russia. 1998–1999: Head of the Russian Department of Finance and Monetary Credit Regulation. 1999–2000: Russian Minister of Taxation and Revenue. 2000–2004: Russian Minister of Labor and Workforce Development. 2004: Assistant to the Russian Prime Minister Mikhail Fradkov. December of 2004 to the present: Russian Presidential Plenipotentiary Envoy for Dmitry Kozak’s Southern Federal District. 2007–2011: Member of the Council of the Federation; Representative of the State Executive Body for the Krasnodar Region. Member of the Democratic Choice of Russia and the Union of Rights Forces since their founding. 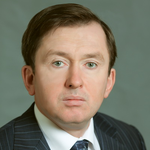 1995 to the present: Associate Professor; 1997 to the present: Professor in the Department of Tax Policy at the Plekhanov Russian University of Economics. http://texkom.ru/ автозапчасти для иномарок интернет магазин: главная автозапчасти.